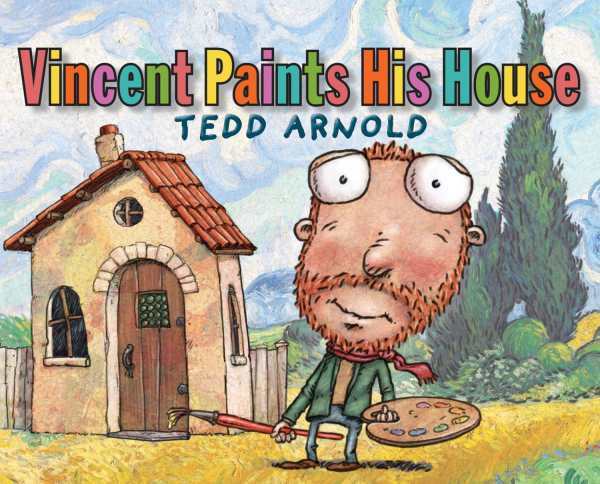 As Vincent ponders painting his house, the small animals that live in and around it offer their suggestions on the right color. A very simple but charming story, it offers children a chance to explore color as the illustrations include examples of four hues for each color suggestion. This is a considerably more complex rainbow than is generally offered to young children and is sure to inspire budding artists. Additionally, the final page depicts Vincent’s house beneath a very famous Starry Night sky, which offers a beautiful opportunity to introduce children to an important historical artist. Ages 3-8.